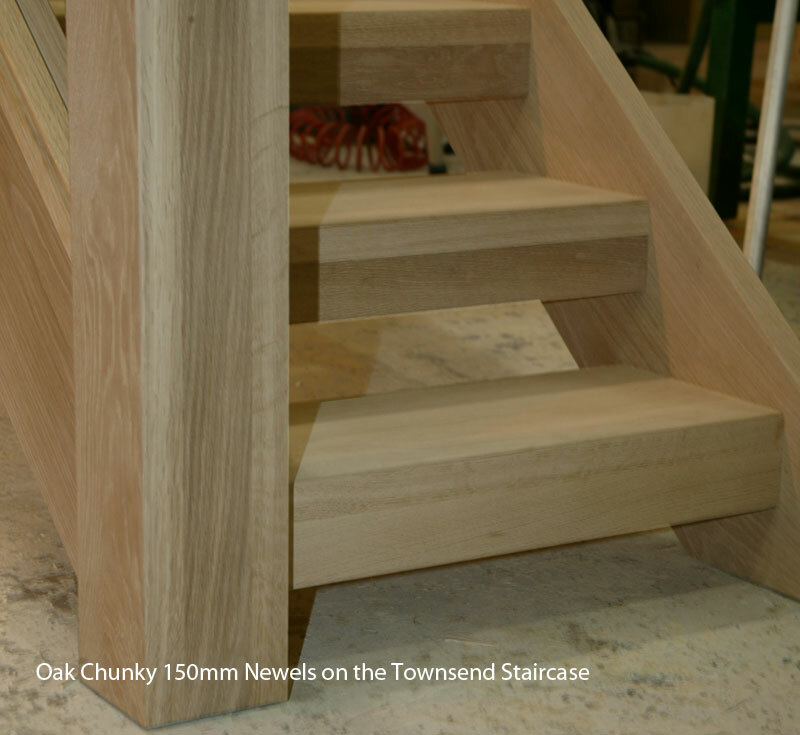 This shows the Townsend Staircase specification on a simple straight staircase, the huge 150mm square newel posts and the contemporary deep square tread detail give the Townsend Staircase a truly Chunky feel. Toughened Glass Panels . 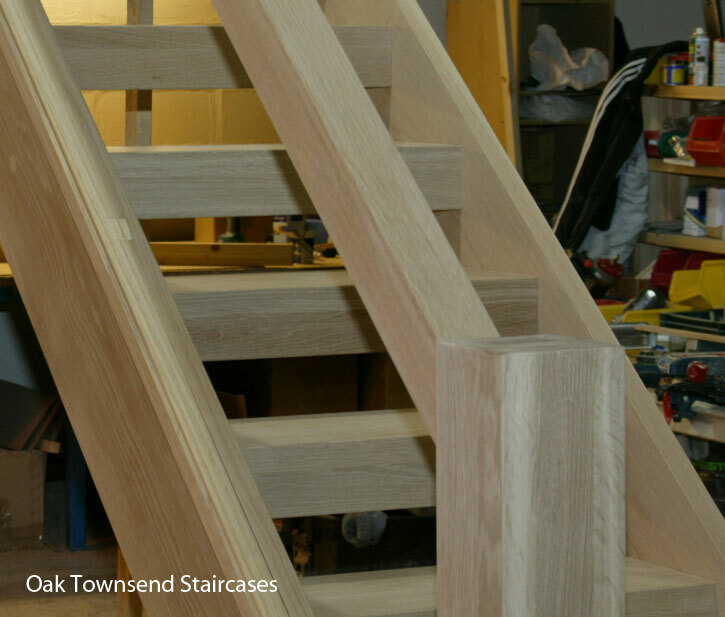 Shown here with the original square oak handrail design, this oak handrail section is still an option but the Townsend staircase has evolved with new Handrail options and the new Townsend tread detail where the tread is a constant thickness. 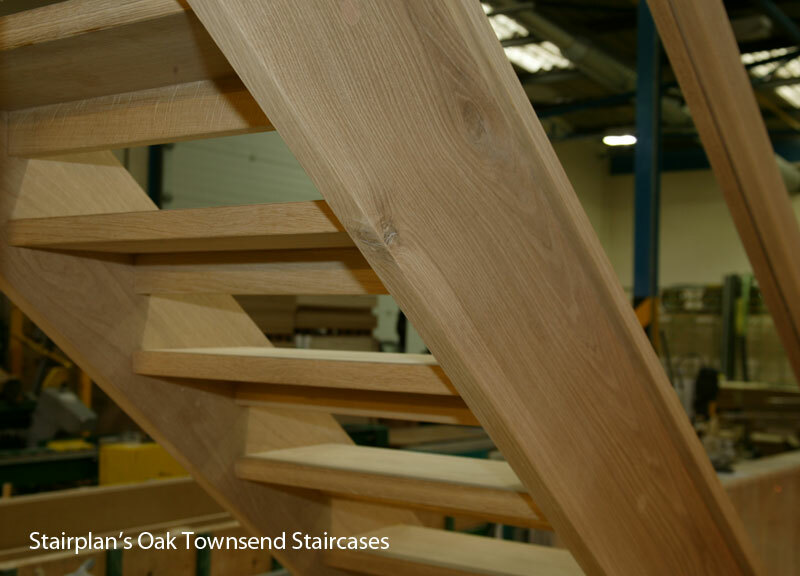 To appreciate the quality of the Townsend staircase pay a visit to our staircase showroom in Telford. 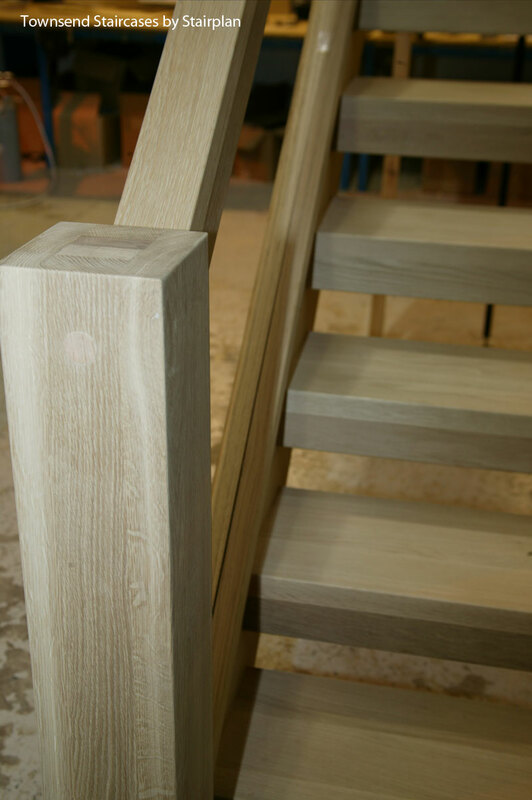 From below the staircase you can clearly see the oak downstand detail, we can also offer the treads to look like a square tread detail so they look as chunky from the back as they do from the front, this would be an additional cost. 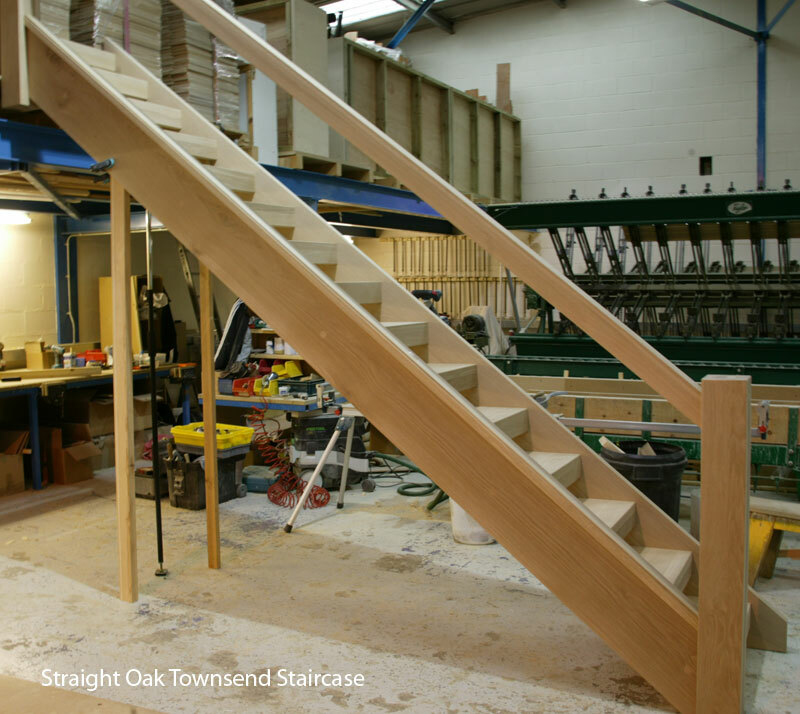 We are working on cost saving options for the Townsend style staircase ask to speak to a senior advisor after you have had a initial quotation. 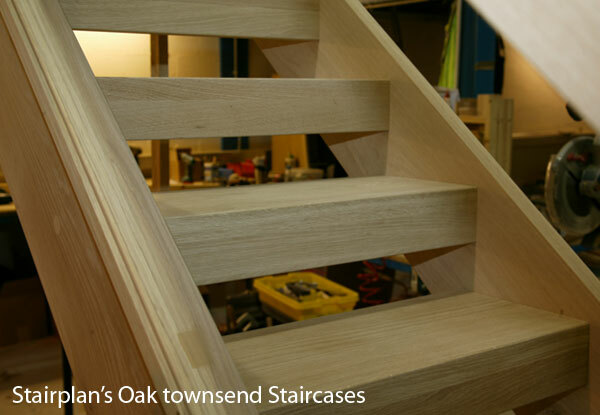 Stairplan use a Super Prime grade of American White oak on the townsend staircase. We now have a online glass balustrade planner - Dial in your sizes and Order Glass Balustrade panels online. 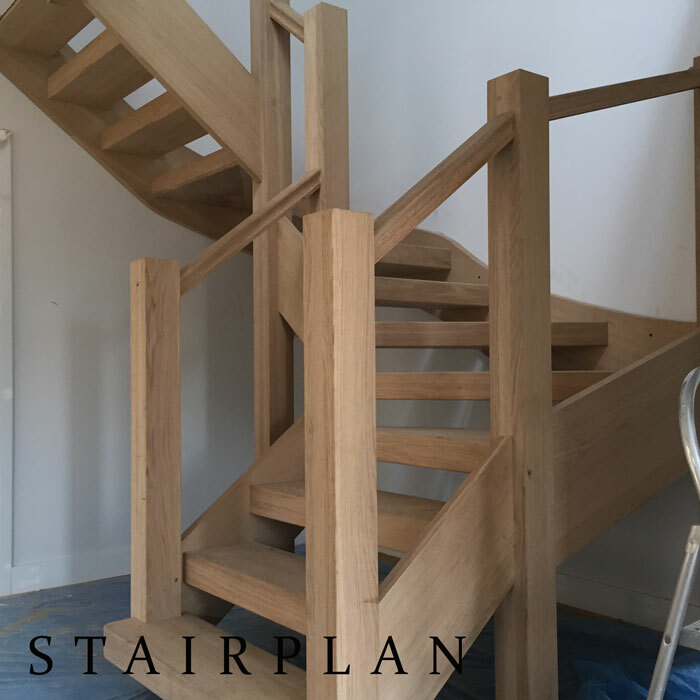 Luxury Oak Staircases like the Townsend staircase offer a completely different first impression to the average oak staircase. Above you can see a Townsend staircase with the new Townsend tread detail where the entire stair tread is the same thickness, these luxury staircases offer beauty fro all angles. Home | Stairs | Stairparts | Terminology | Workshop |Staircase Plans | Jobs at Stairplan in Telford | Curved Stairplan C Staircase | Visit the Showroom..